Travel the world with Hipcooks! Think of this as 12 Hipcooks classes, all rolled into 1 cookbook with dazzling photos. 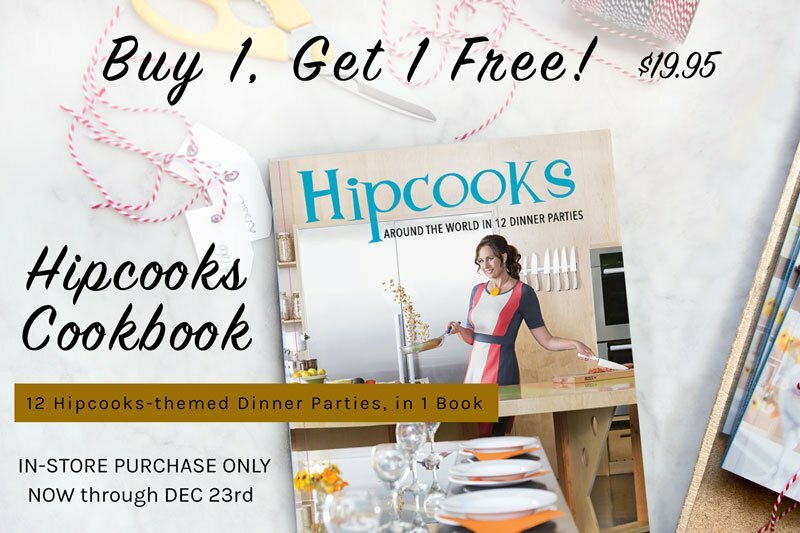 This deal is in-store / after class only, so pick up a cookbook and we’ll give you a second for free!